As you travel to new and exotic lands, remind yourself to paint with all the colors of the wind...or at least remind yourself with keys are yours! Pocahontas gets the Pop! Vinyl treatment and she's sized for adventure! 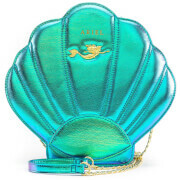 Bring the heroine everywhere in her iconic Disney look. 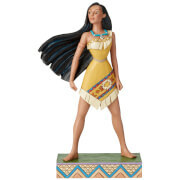 This Pocahontas Pop! 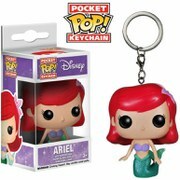 Vinyl Figure Key Chain measures about 1 1/2-inches tall and comes packaged in a window display box.